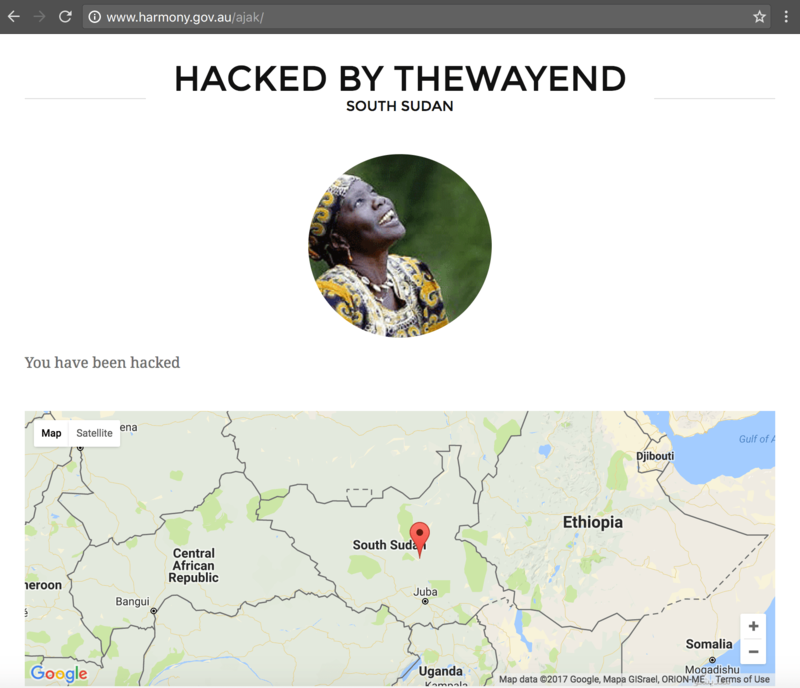 A hacker going by the name of TheWayEnd has hacked the official Australian Government website for “Harmony Day” on Sunday, the 5th of February. The Australian Government website was built to commemorate Harmony Day. A day that takes place on the 21st of March to celebrate cultural diversity and harmony within Australia. The website also states that it is about inclusiveness, respect and a sense of belonging for everyone. The hacker also added a picture of a woman from Sudan. Given all this information, the hack seems to likely have been motivated by patriotism and trying to get people to know that hackers from that part of the country exist. Upon deeper investigating of the hack by TheWayEnd, it appears that the Australian Government Agency website for Harmony Day was running on WordPress. The website could have been running an out-of-date version of WordPress (Version 4.7.0 or 4.7.1), which could have possibly been vulnerable to the critical WordPress REST API exploit that we reported on about recently on our website.